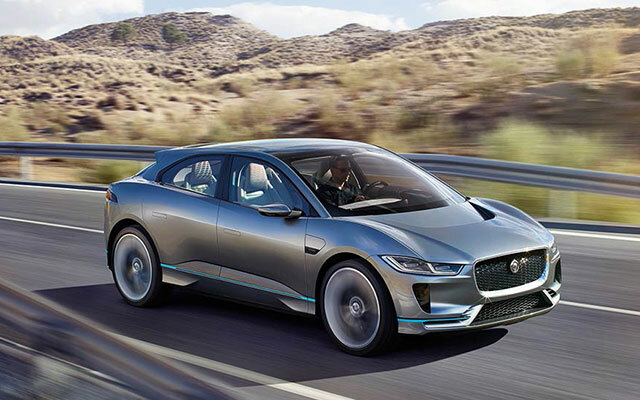 The I-PACE Concept is the preview of Jaguar’s first ever all-electric vehicle. This version is the precursor to the production version which will be landing in the last half of 2018. 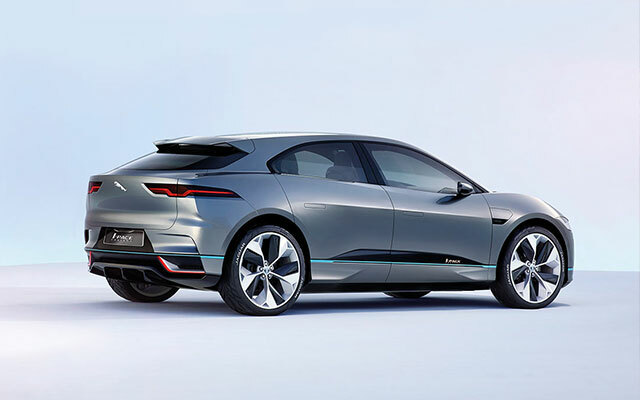 The I‑PACE Concept is Jaguar’s thrilling entry into the world of electric vehicles. A combination of new technology and a modernistic design makes the vehicle emission free. Even in this electric version, the Jaguar characteristics are still unmistakable. 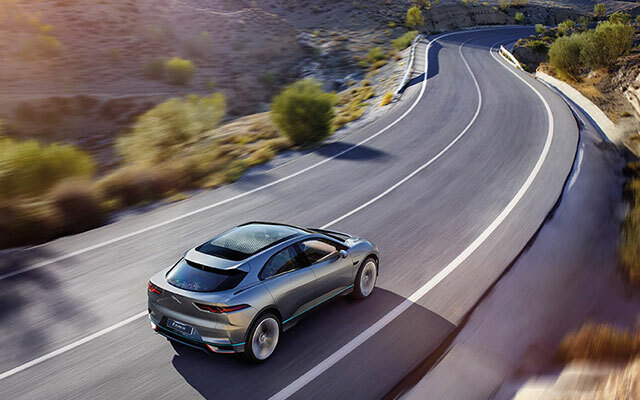 The I-PACE Concept has been conceived for pure driver enjoyment, demonstrated as much by its thrilling acceleration as by its intuitive technology. It combines Jaguar power with the luxury style of the storied brand. The vehicle offers satisfying driver enjoyment with quick acceleration and smart technology. The SUV provides 516 pound-foot of torque, 400 horsepower and hits 0-60 mph in 4 seconds. Quick acceleration is delivered thanks to its swift torque. Like all Jaguars, it excels in all weather driving conditions thanks to the balance of its SUV all-wheel drive and sport car agility. Drive confidently on any road condition in the I-PACE Concept. The I-PACE Concept has a high-grade lithium-ion battery with a 90 kwh capacity. To propel its torque it’s powered by two electric motors. The vehicle can go 220 miles on one charge. It can be charged to an 80% capacity in 90 minutes with a 50kW DC rapid charger. 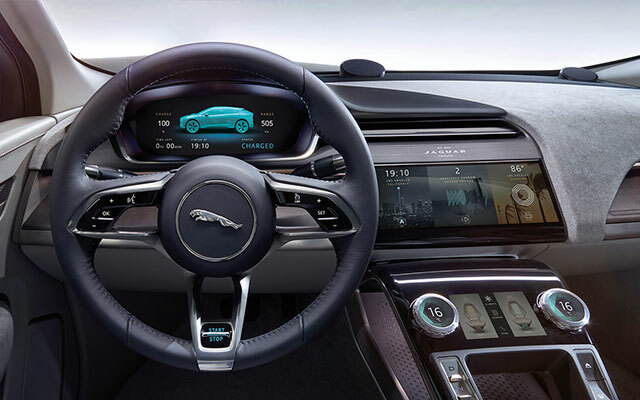 At the core of the I-PACE Concept is its top-of-the-line technology. Still, this technology remains understated for the enjoyment of both driver and passenger. Our technology works with you and your car to not distract you and keep your eyes on the road. 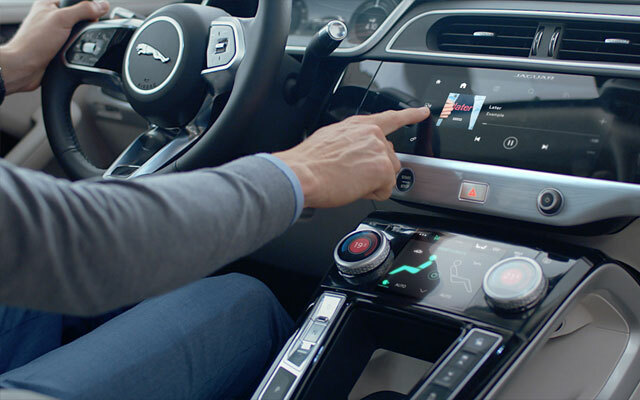 Four screens are placed conveniently for the driver for simple engagement. Two touch screens sit on the center console while behind the steering wheel sits all of your vehicle information. 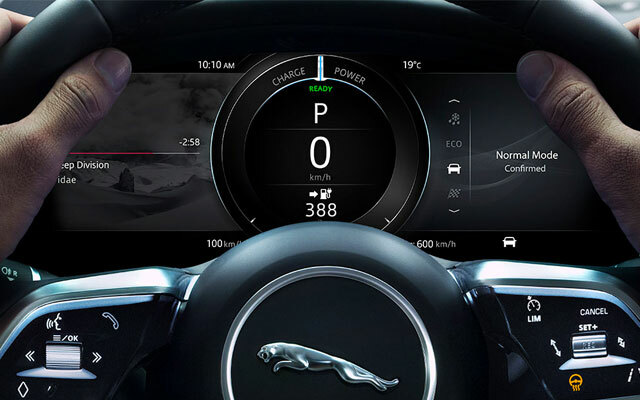 The windshield features a full-colour heads-up display for vital stats. The I-PACE Concept looks both dramatic and distinctive. It has a sleek hood scoop, sleight door handles and stand-out air ducts that all maximize the vehicles range. The sporty look makes it eye-catching while still being able to perform at a high level with its h4 internals. With no internal combustion engine to support, the I-PACE Concept gives you spacious seating with generous rear passenger legroom. It has plenty options of for luggage and accessories storage. No matter where you sit you’ll get to experience the high quality Jaguar craftsmanship. 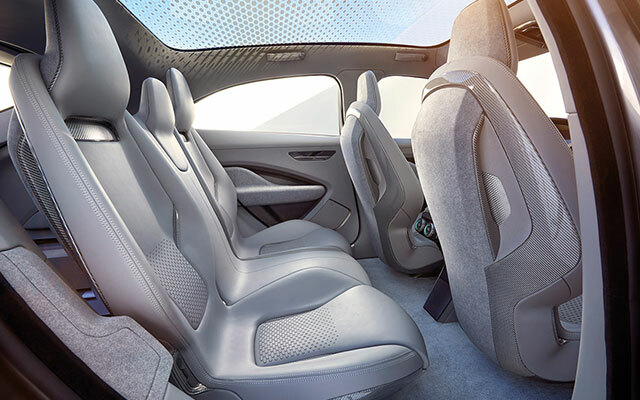 The I-PACE Concept has 5 spacious seats that present style and comfort. It has 18 cubic feet of rear cargo space with 1.2 cubic feet of front luggage area. Its footprint measures 184-inch long x 61.4-inch high x 74.4-inch wide.